Leading Edge Aviation, Inc., based out of Doylestown Airport in Doylestown, PA, has been a leading provider of business and pleasure charter flights and aviation services on the East Coast for more than 20 years. The charter flight market is very targeted and Leading Edge needed a web site design company who could reach that niche market. 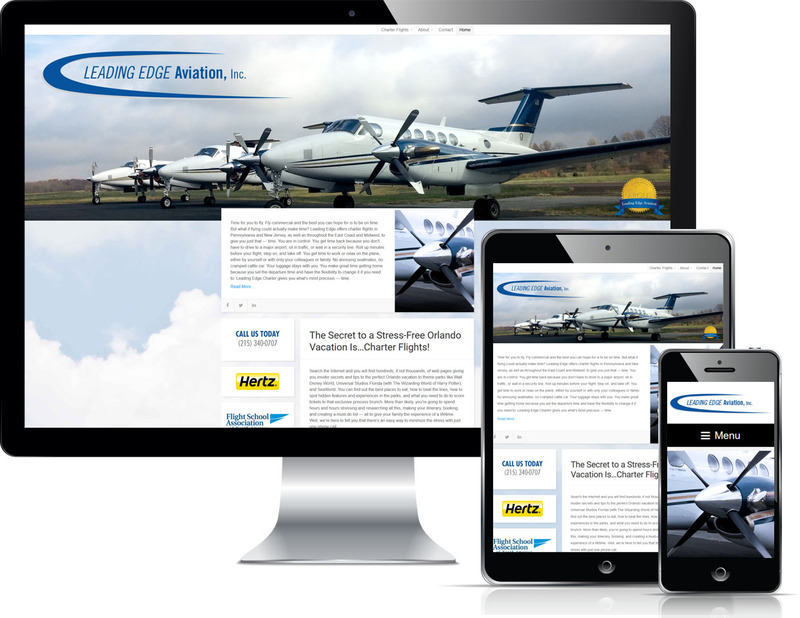 Stonehouse Media Incorporated worked with Leading Edge to build a content-managed, responsive web site with an active blog marrying marketing points to original articles and search engine optimization to generate qualified leads for business and pleasure charter flight bookings.